Moscow (AFP) - Russian Foreign Minister Sergei Lavrov Monday accused the United States of plotting a "coup" against Venezuelan President Nicolas Maduro, in a dispute over Russian military assistance for the crisis-hit country. 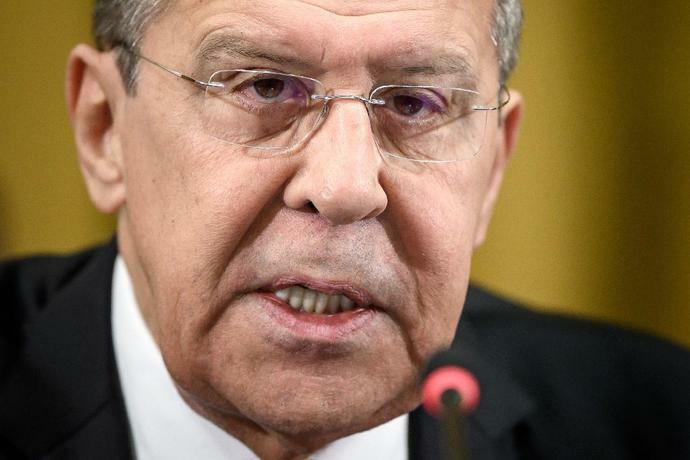 Lavrov said in a statement he had complained of "attempts by Washington to organise a coup d'etat in Venezuela" during a telephone conversation with US Secretary of State Mike Pompeo. The statement said such moves "constitute violations of the UN charter and undisguised interference in the internal affairs of a sovereign state". Pompeo earlier warned Russia that the United States will not "stand idly by" as Moscow inserts military personnel into Venezuela to support Maduro, a State Department statement said. Seeking to cut off Iran&apos;s oil exports, President Donald Trump has decided against renewing waivers on Iranian oil sales, the administration said.